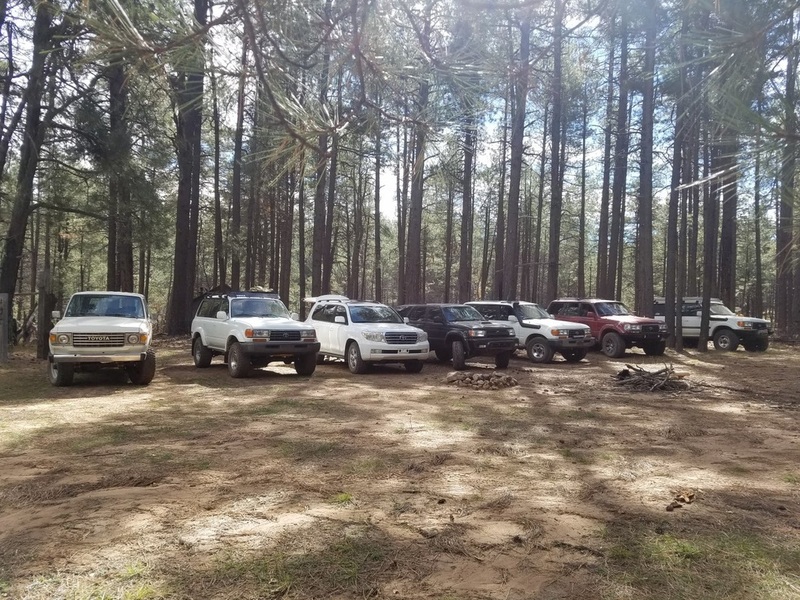 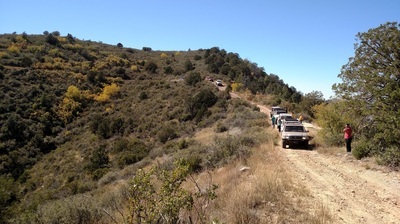 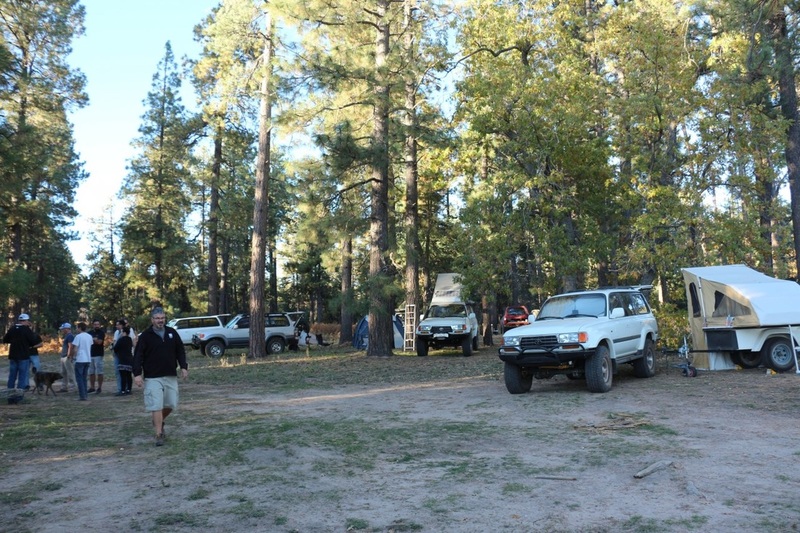 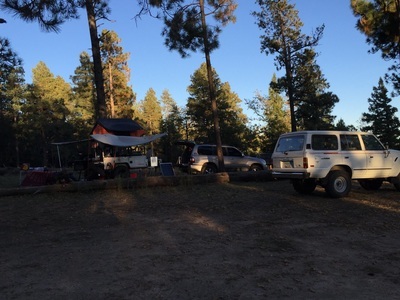 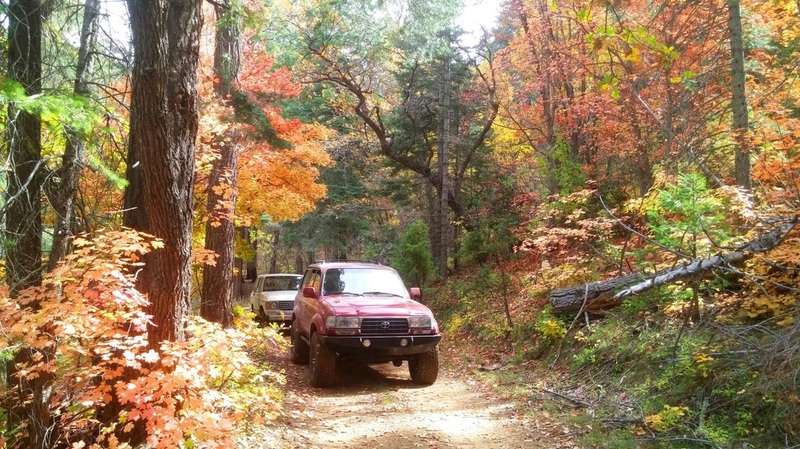 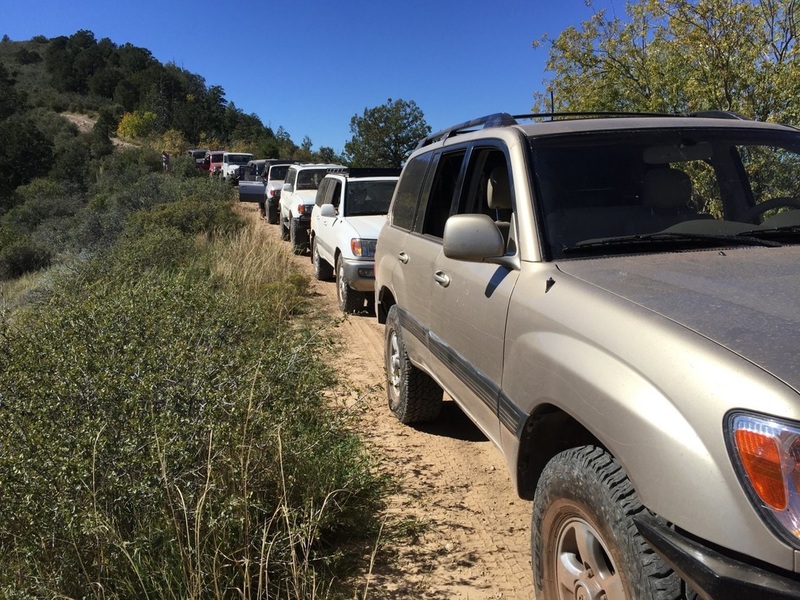 Attendees: 10 trucks did the run, 16 trucks made it for camping. 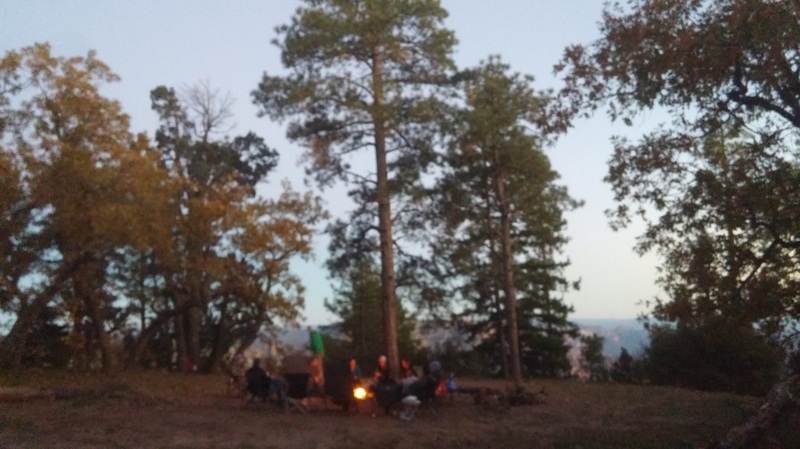 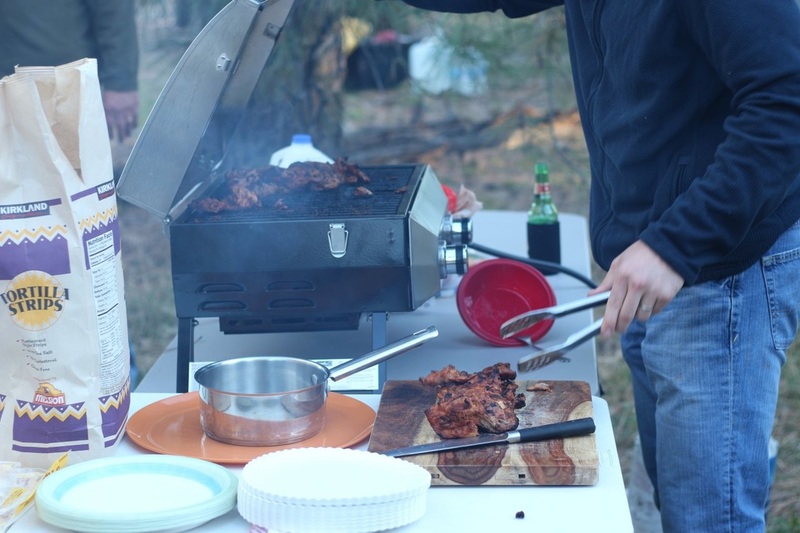 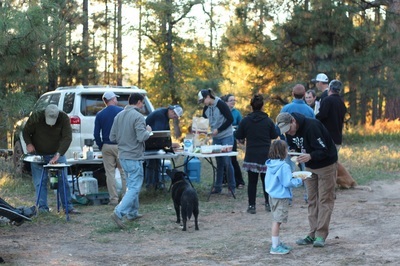 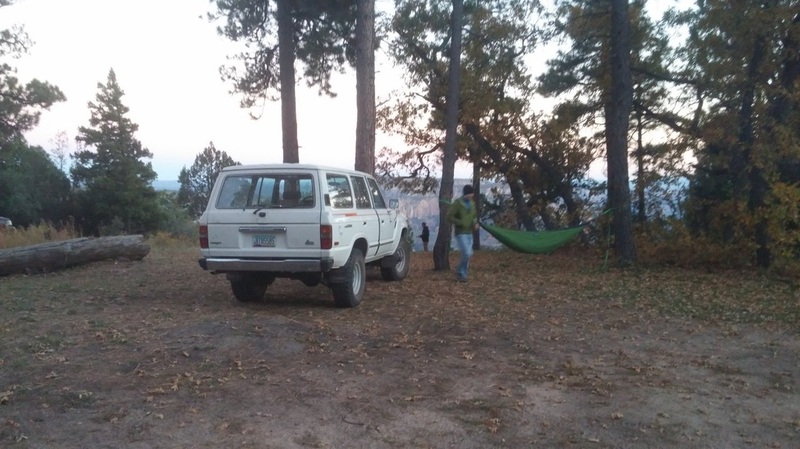 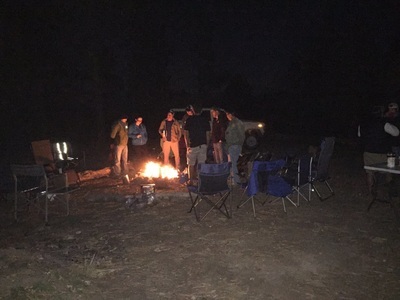 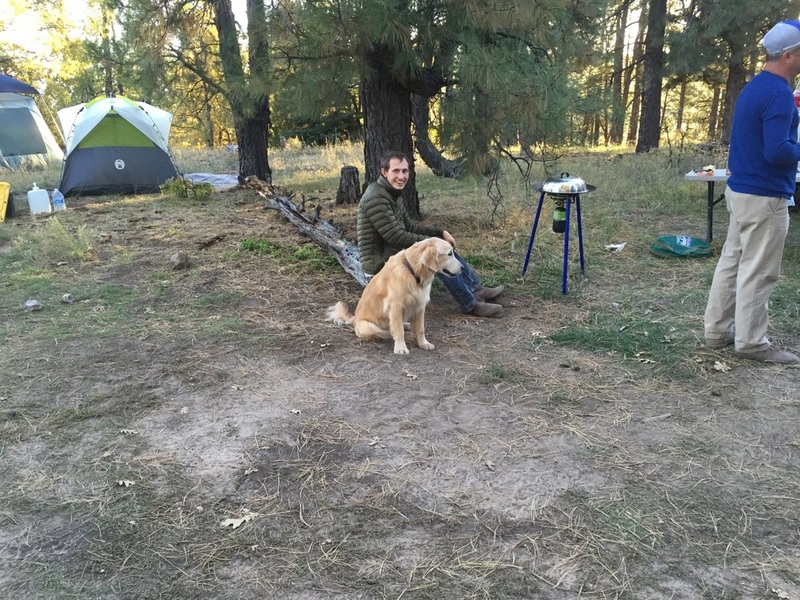 There was a total of 27 people, and five dogs who camped at least one night. Trail Rating: I would say the trail is stocker friendly. I ran it in 2015 with a stock 100 pulling at 1,500-pound trailer. 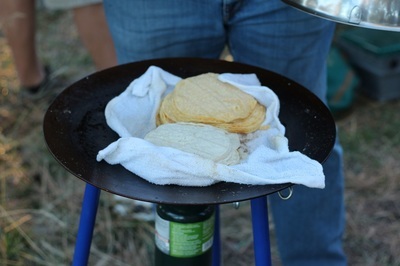 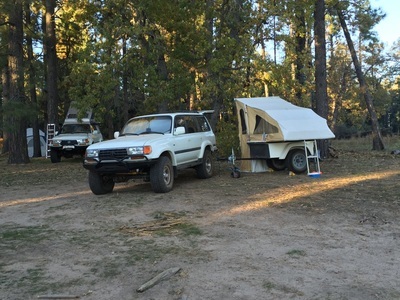 I arrived early Friday morning to secure the camping sport. @murf and @LandCruiserPhil showed up in the afternoon after they drove through Sedona and then took a “scenic” route around the detour. @aztlctina, showed up in the early afternoon with three of our four girls and one dog. 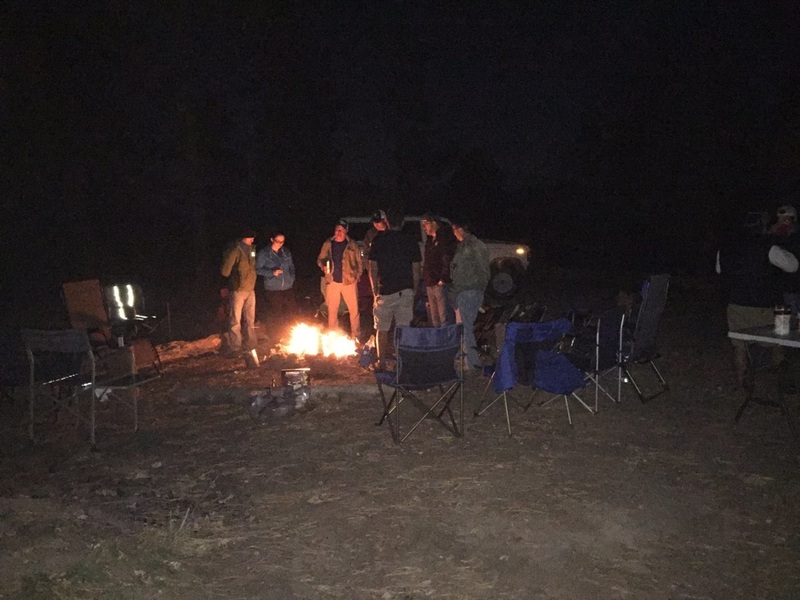 @Saddletramp, @Cruddz, @Chrismanjs, @hADAMonkeyonce arrived around 7:30 to camp, and @Mattman and his daughter (Emily) showed up about 10:45PM. 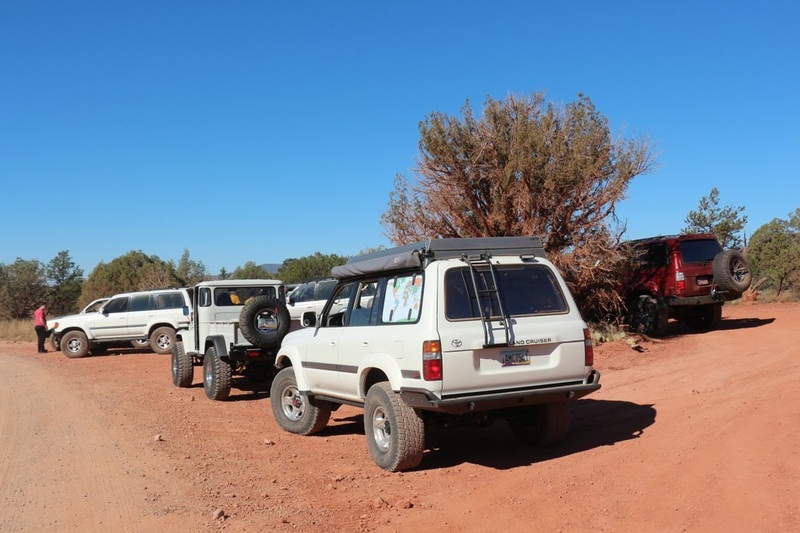 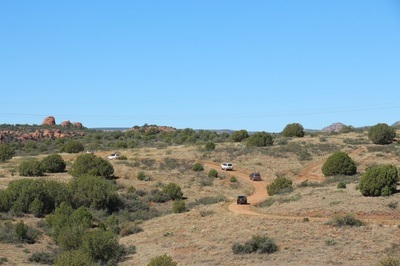 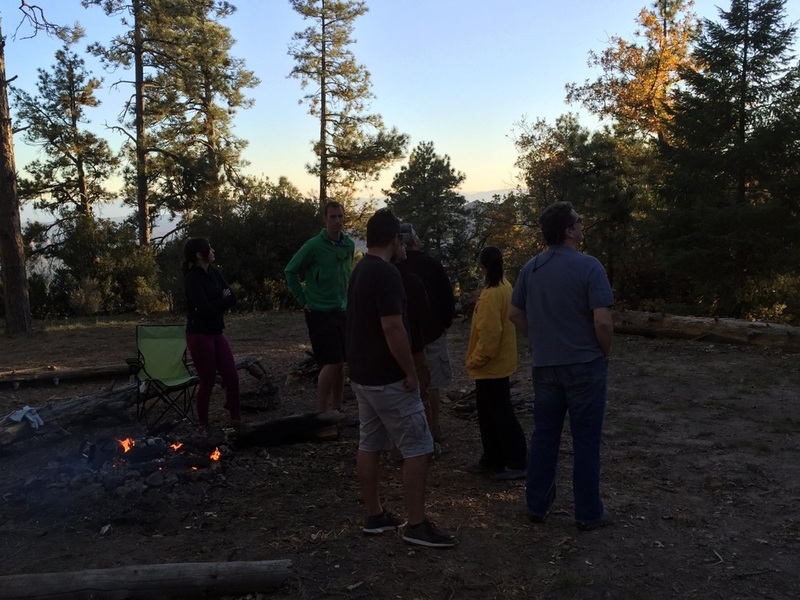 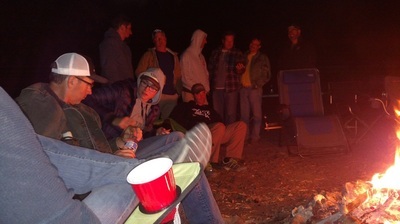 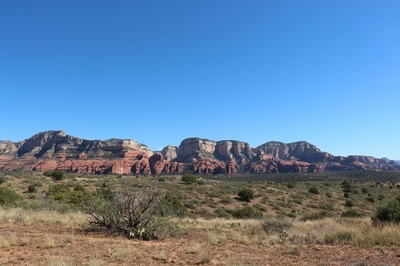 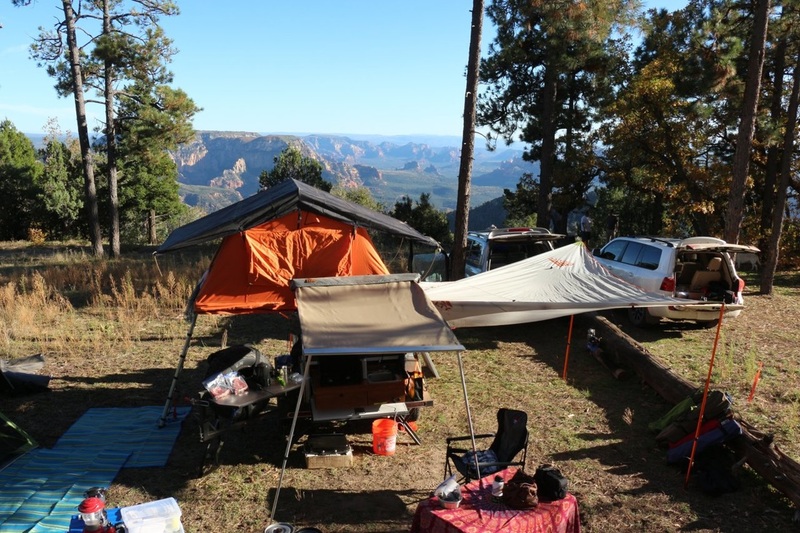 On Saturday, most people left camp around 7:15 to go meet up with the rest of the group at the Sedona Safeway. 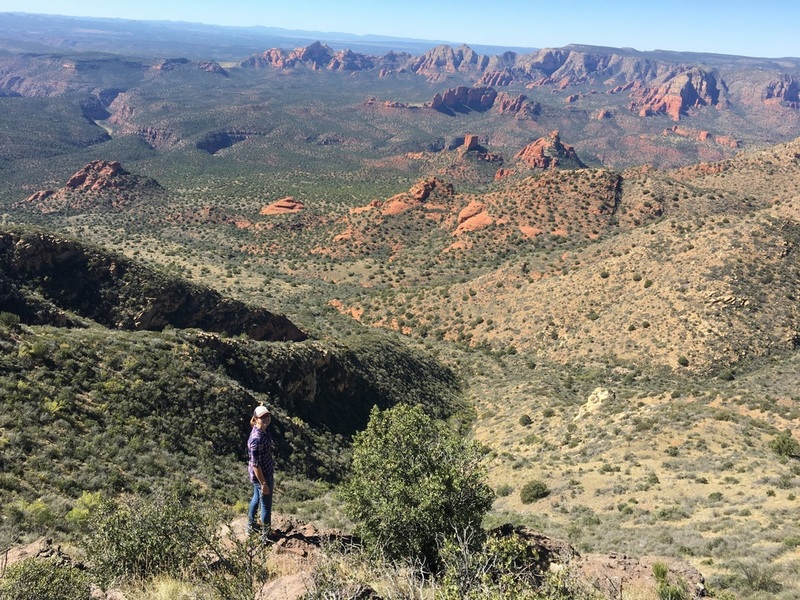 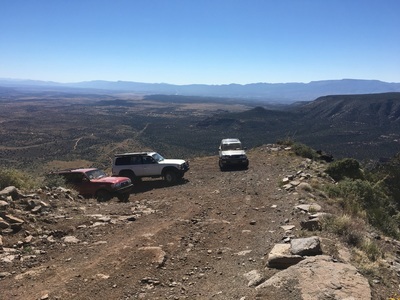 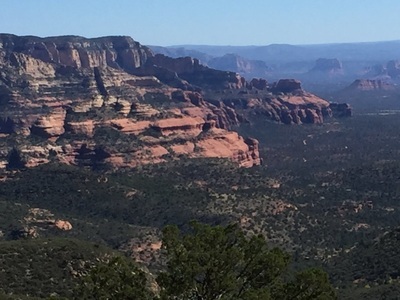 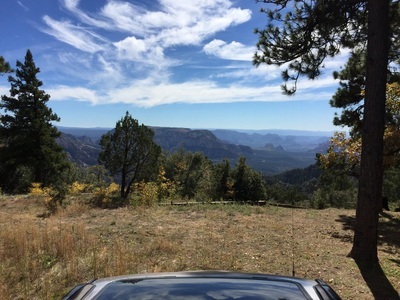 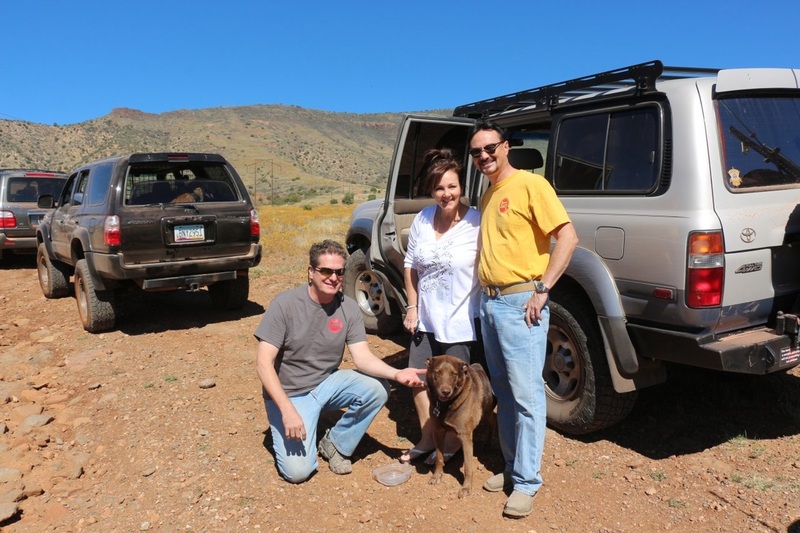 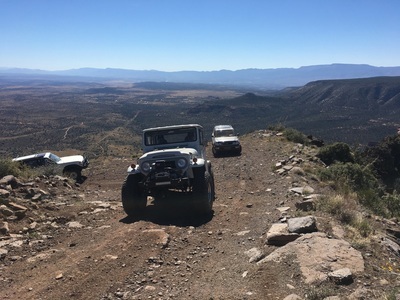 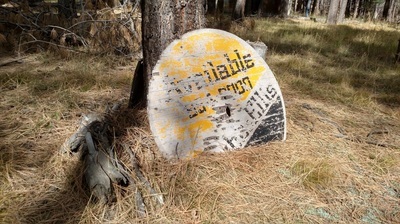 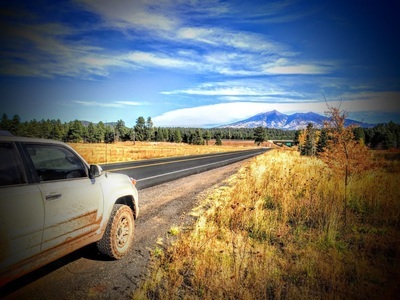 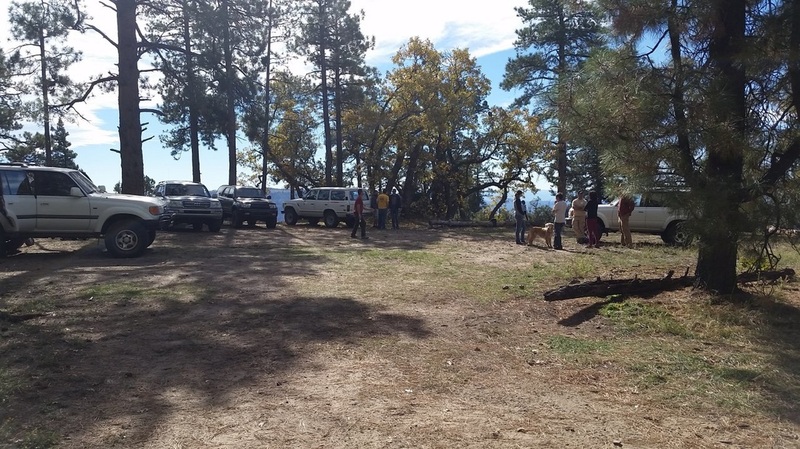 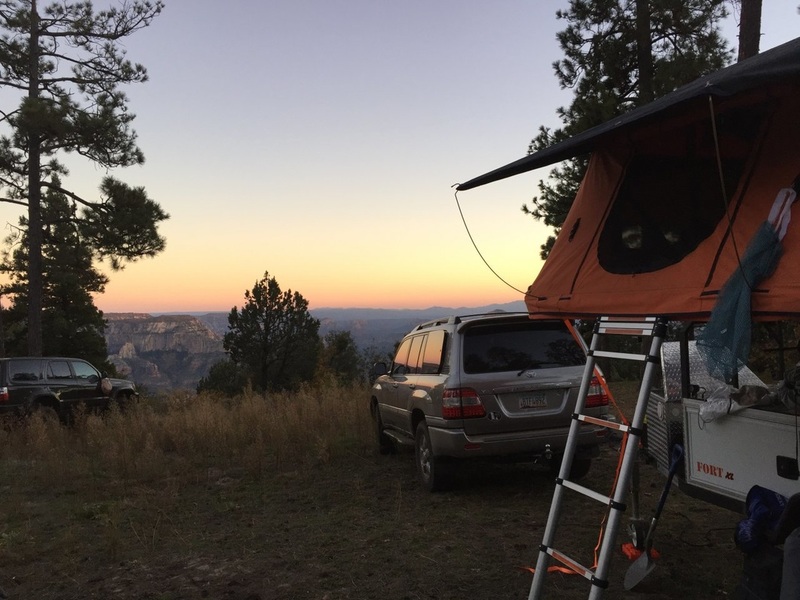 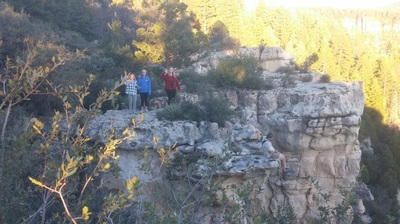 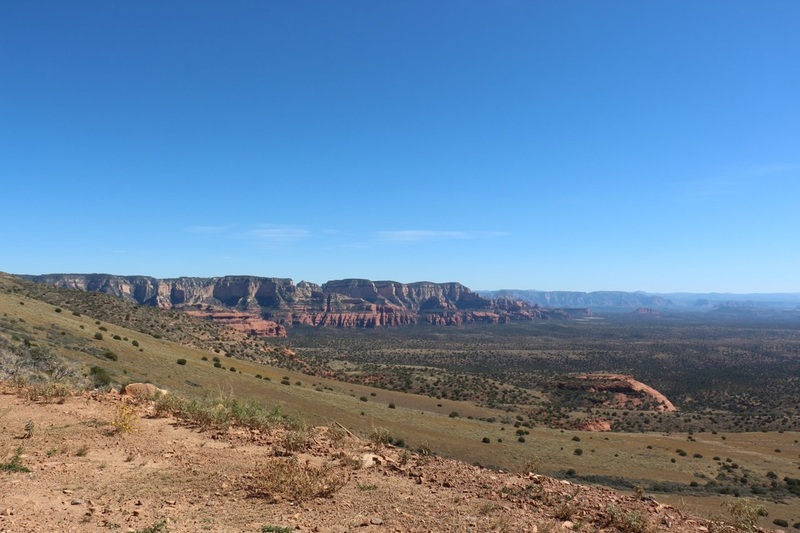 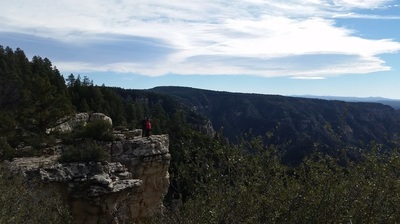 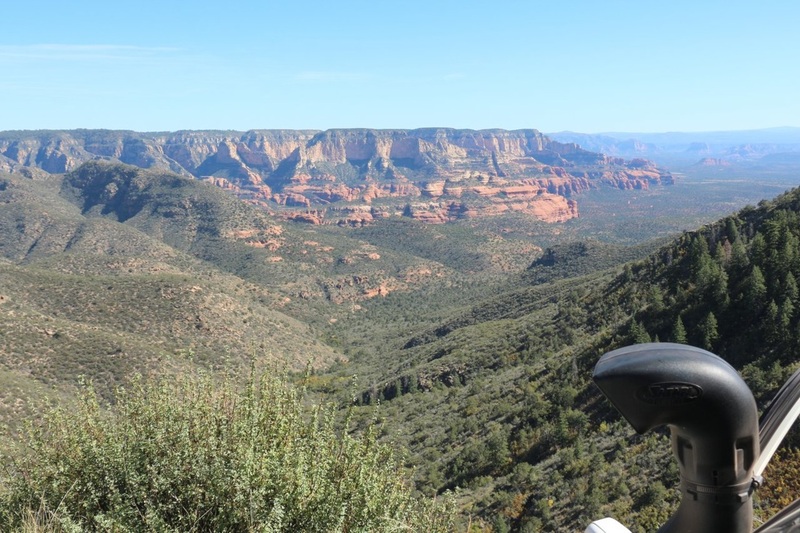 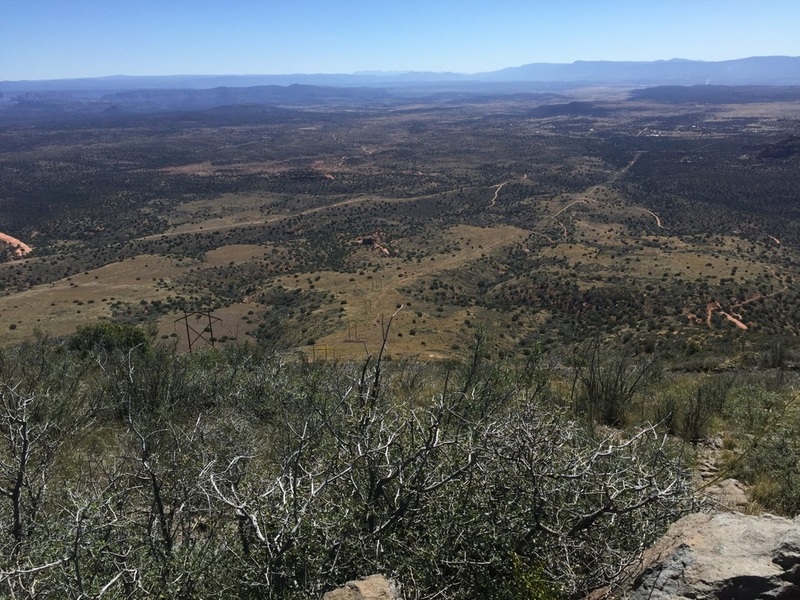 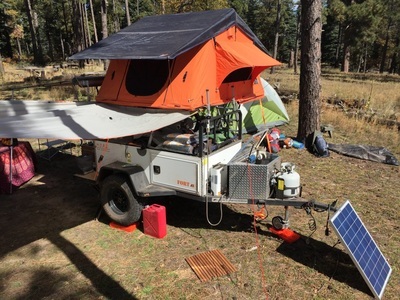 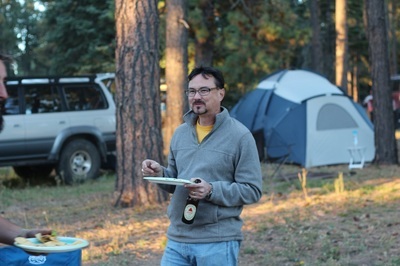 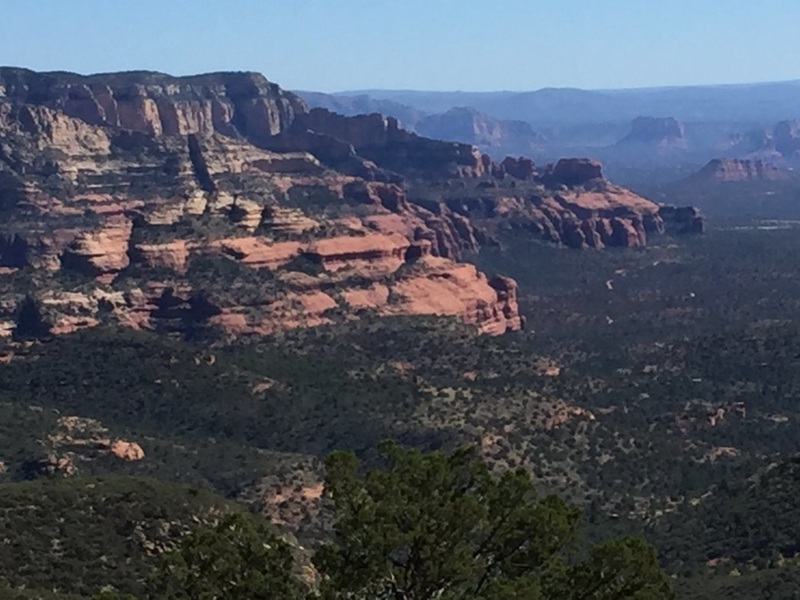 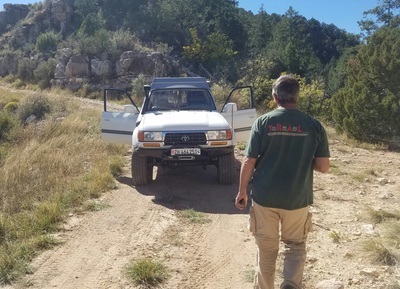 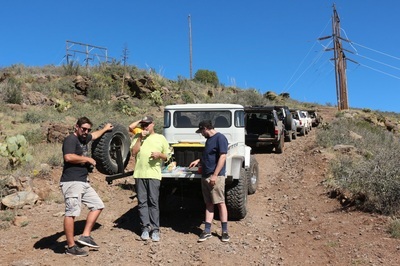 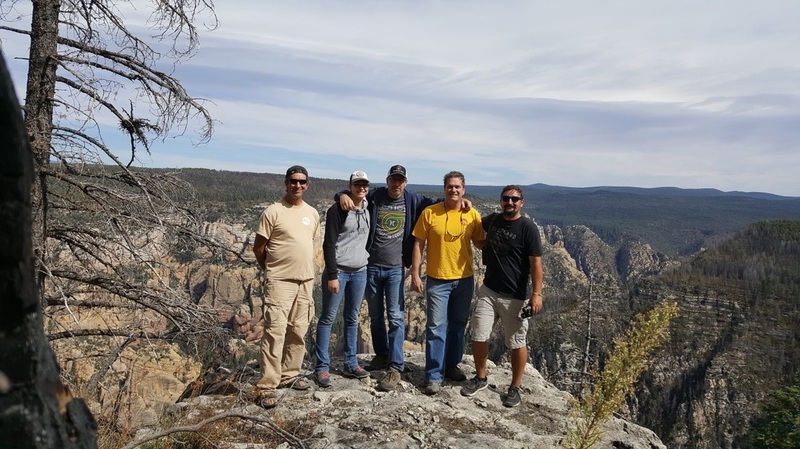 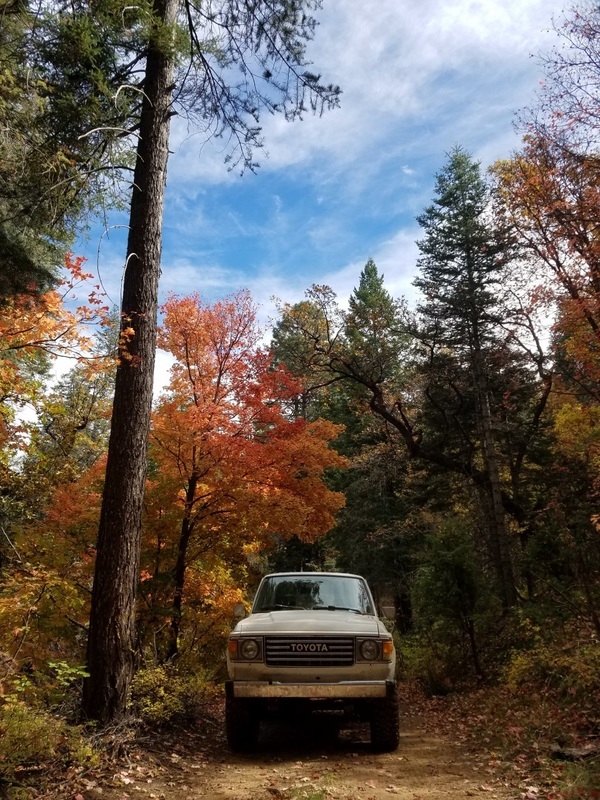 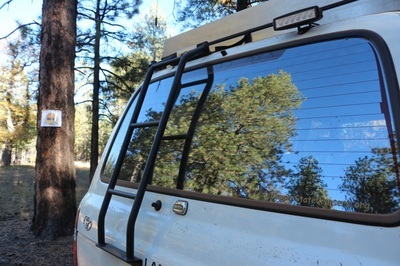 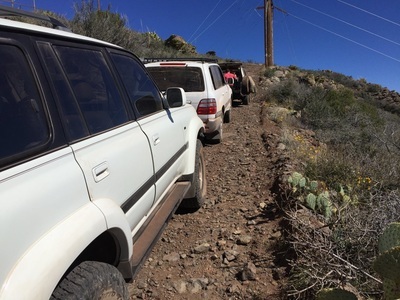 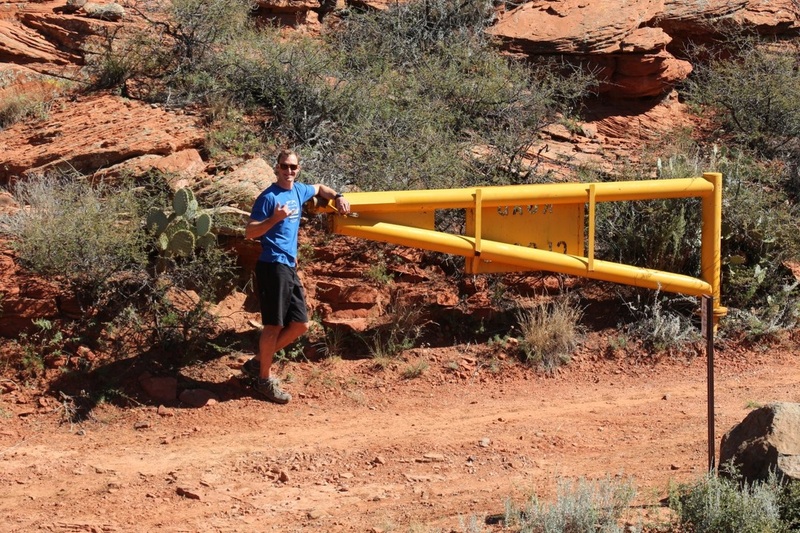 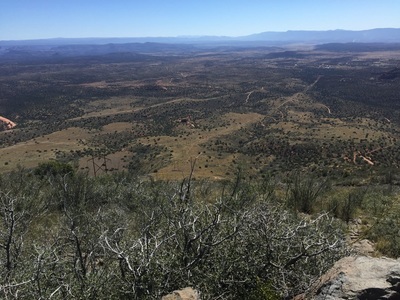 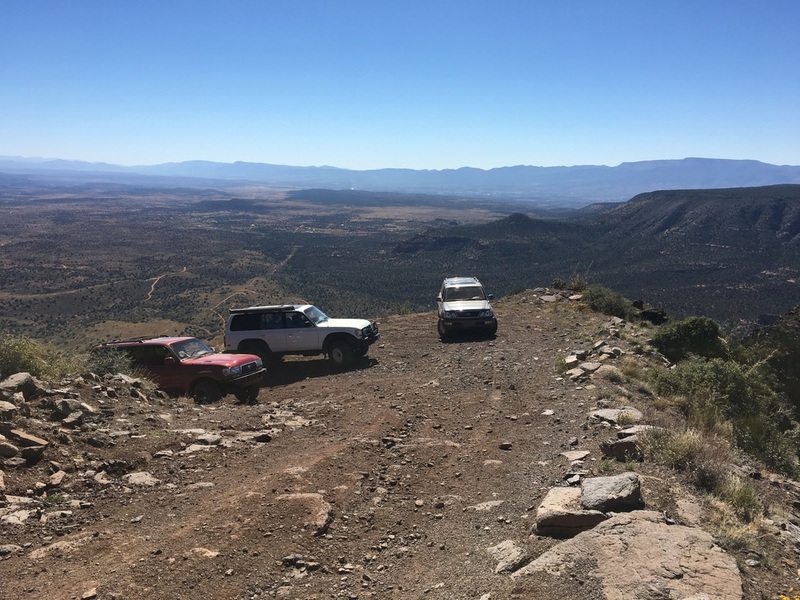 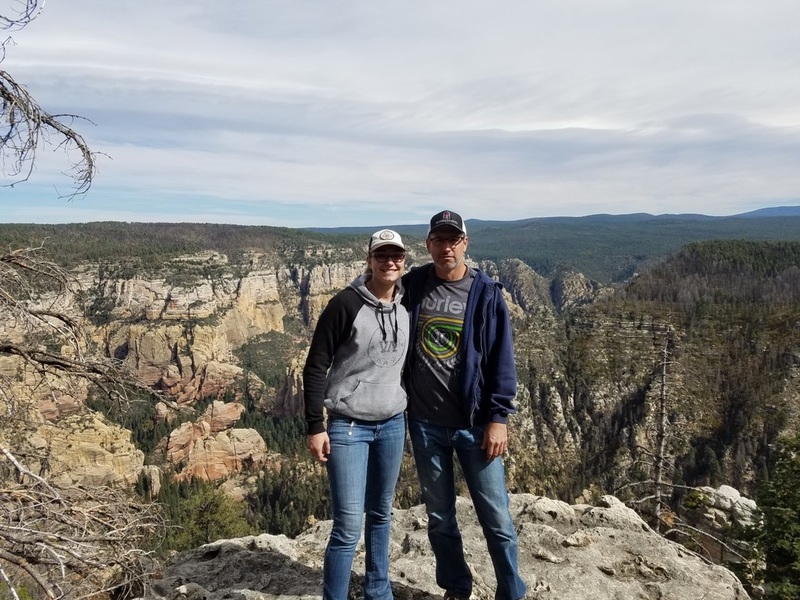 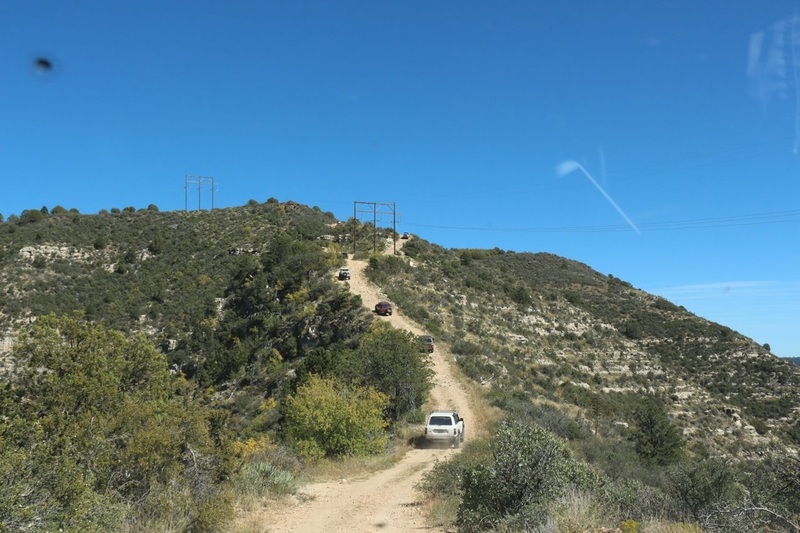 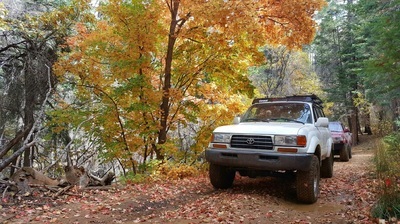 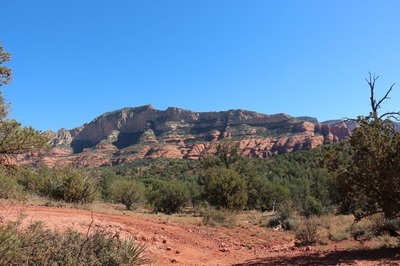 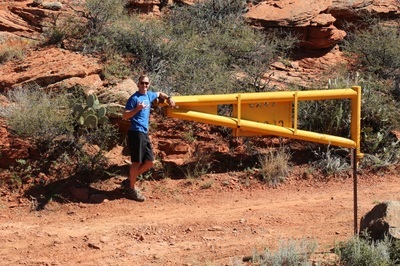 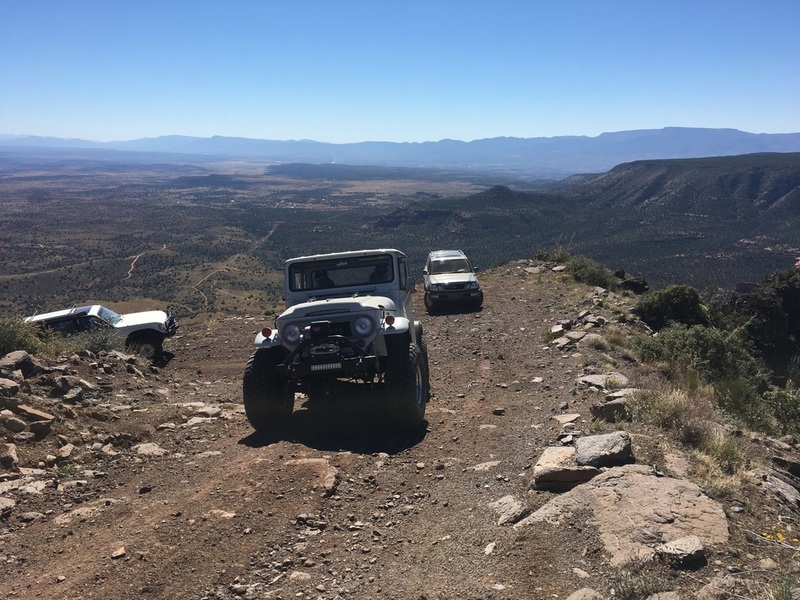 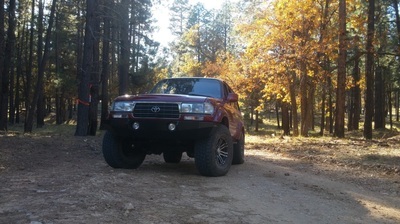 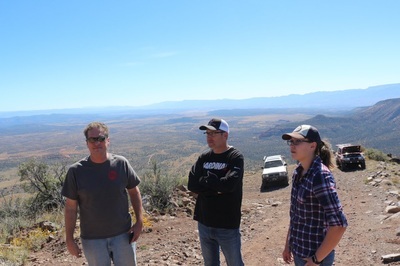 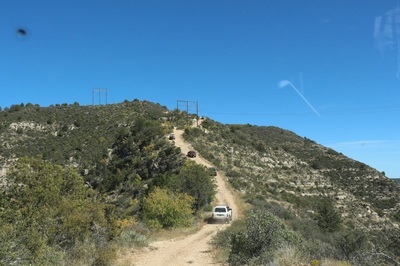 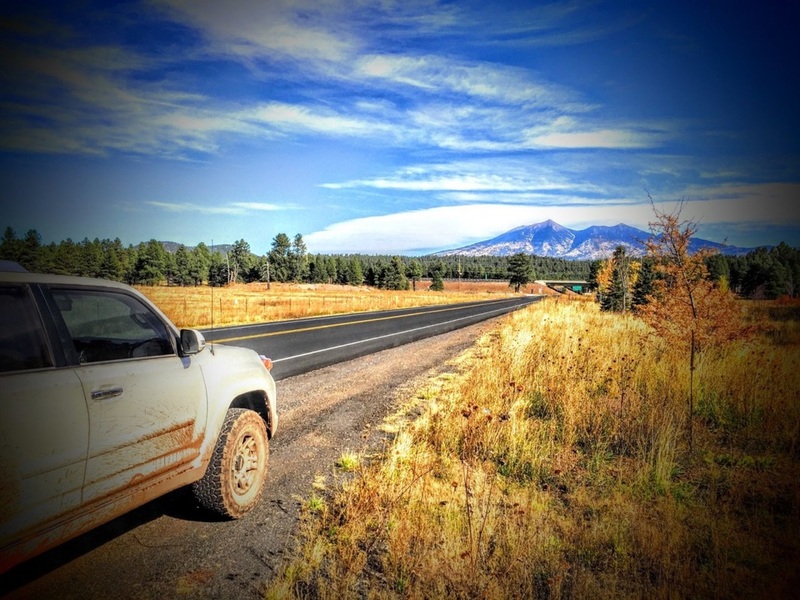 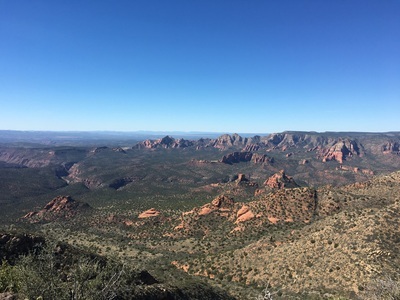 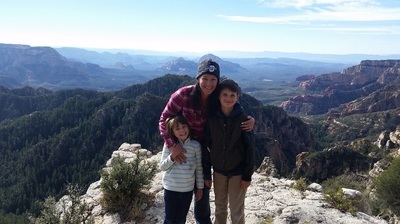 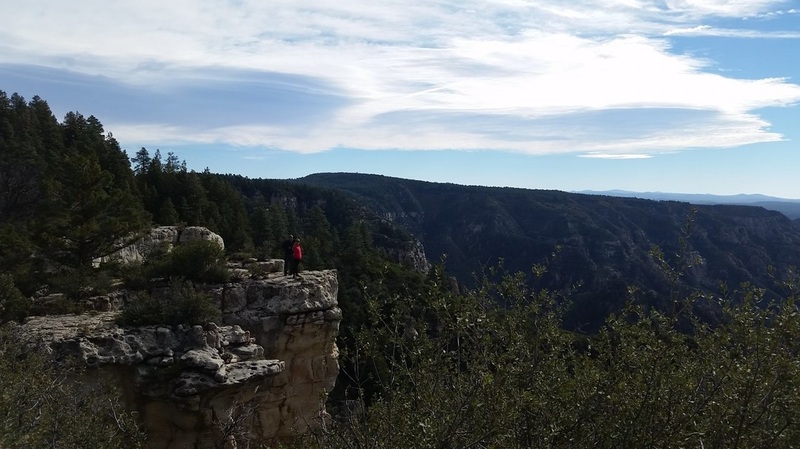 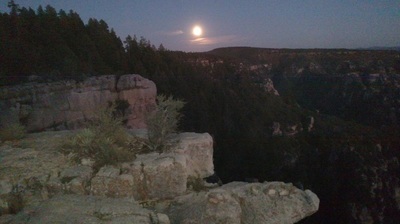 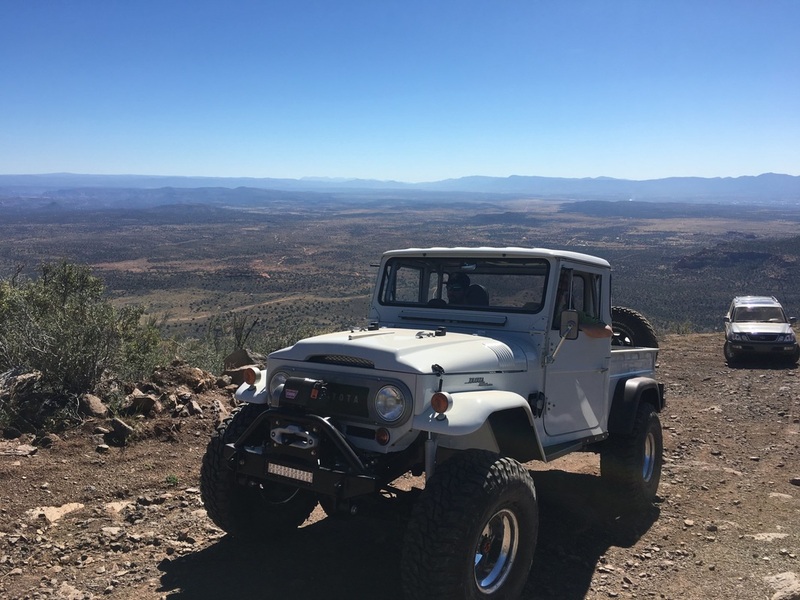 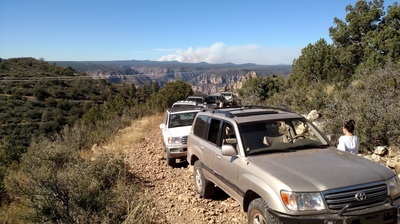 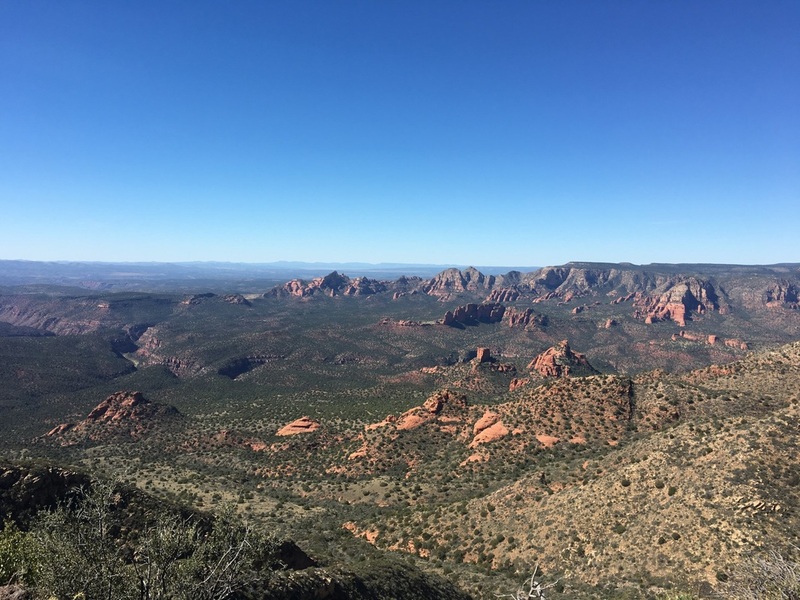 @aztlctina took the kids and dog home around noon, while I explored the various Forest Service roads on top of the rim. 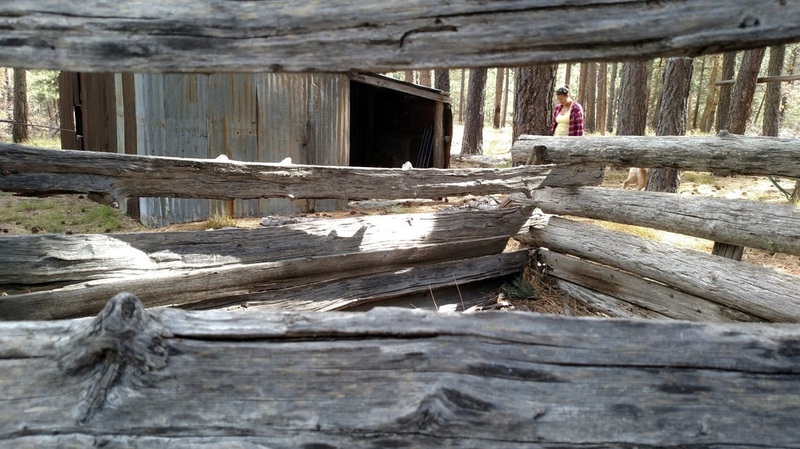 I discovered a “creepy cabin” and some other great camping spots for future years. 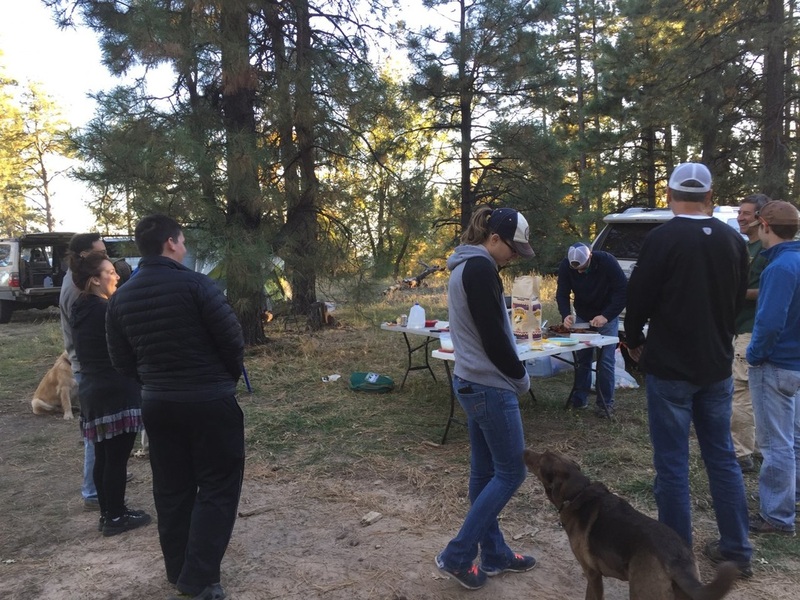 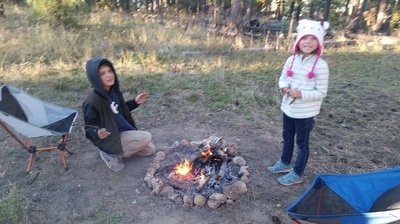 @Pitch wife had already set up their camp site for them, and the Clarke family @jclarke450 & @Cruzrmama arrived with Taylor and Mekenna to set up camp. 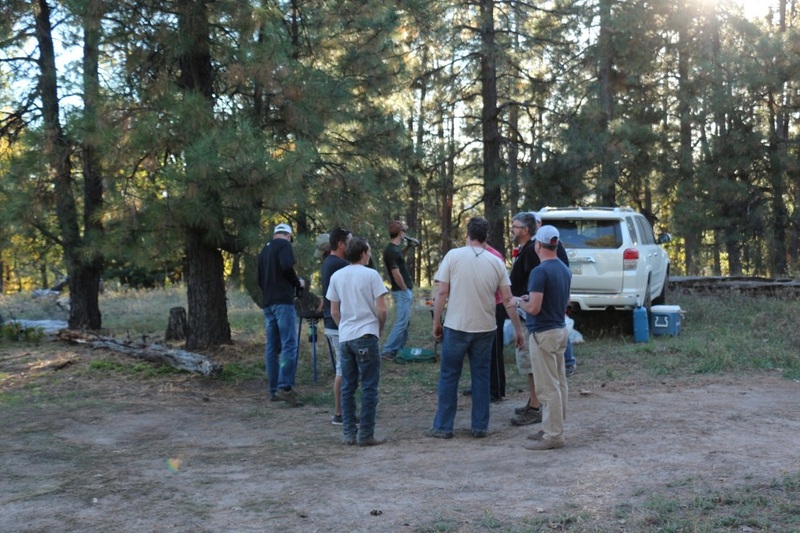 The group that went on the run, minus @Nifski and @Clunky who went home, arrived back at camp around 3:00. 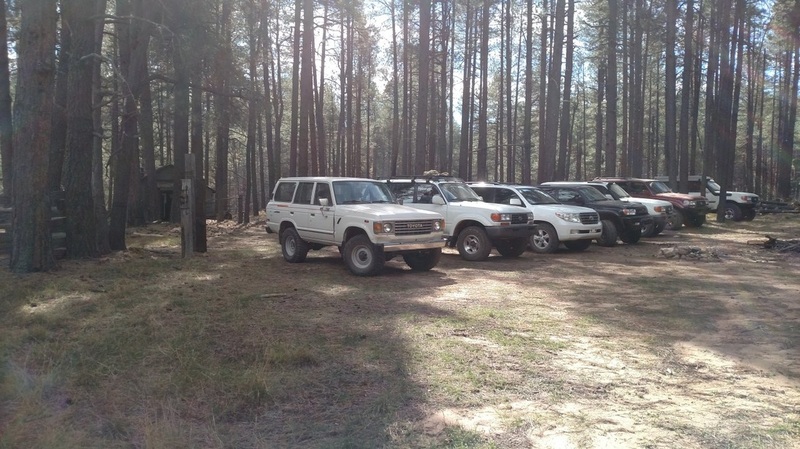 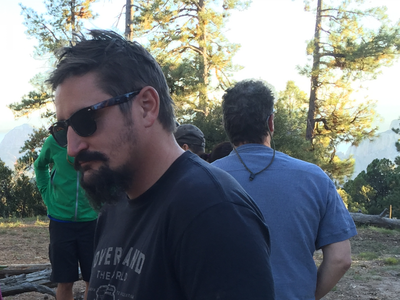 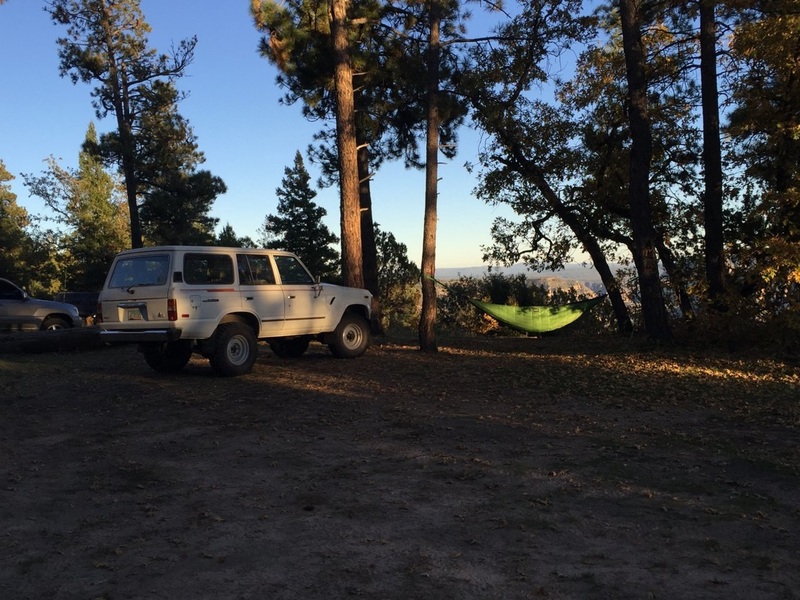 @LandCruiserPhil and @Funner did some further exploring and went to the fire lookout tower above the Casner trail. 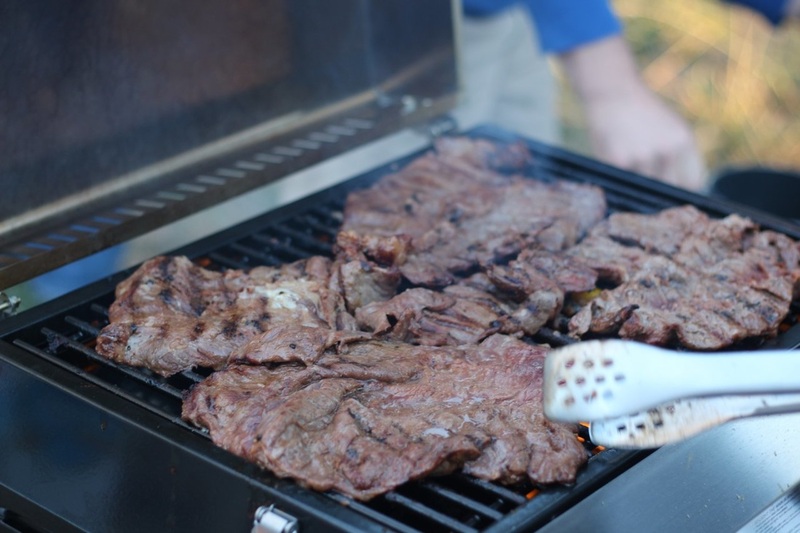 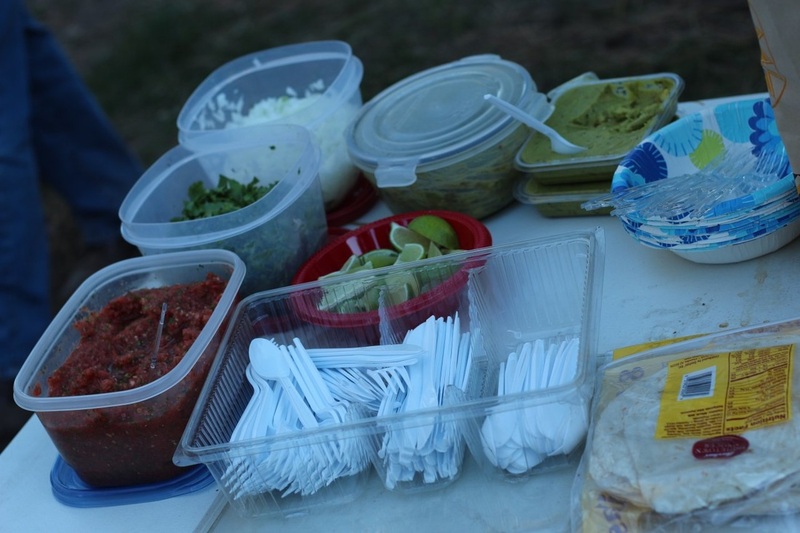 We had a great pot luck dinner thanks mostly to @hADAMonkeyonce, who grilled tons of chicken and carne asada for street tacos. 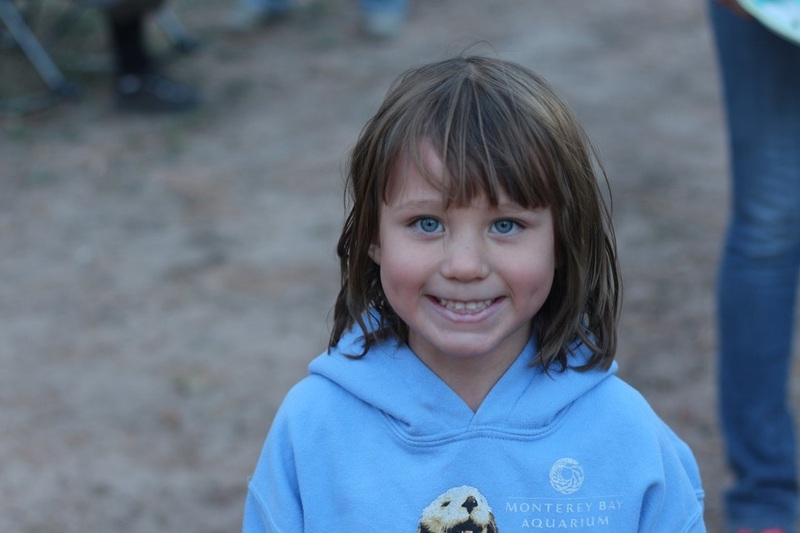 @Abigail made cobbler, but it must have been so good, she kept it all to herself. @yjeff and Monica arrived after dinner for a night of camping. Lots of talk around the campfire, thank you to @Abigail for getting it going! 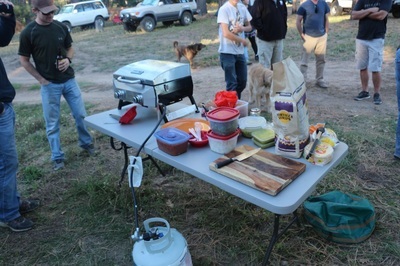 The tequila and FireBall were passed around, as were Linda’s very yummy pumpkin scones. 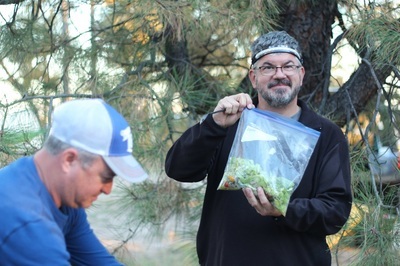 @Chrismanjs broke out the ice cream, and I passed around cookies that @aztlctina had made. I played DJ for an hour or so, but turned in after I “Rickrolled” everyone with Rick Astley’s “Never Gonna Give You Up”. 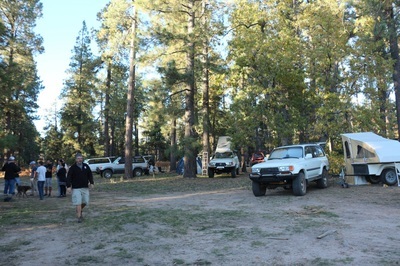 On Sunday, some people left early to get home, while most of us left camp around 10:30. 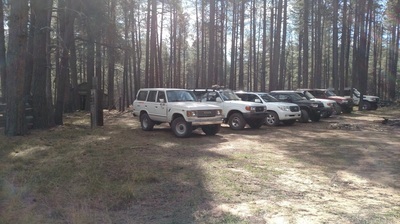 One group headed straight back to the Valley, while others stayed up on the Rim and explored more Forest Service roads. 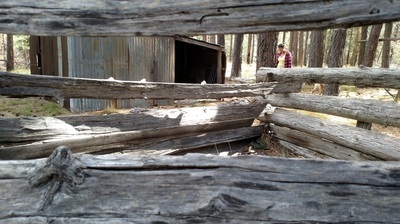 They made a trip to the “creepy cabin”, which I am sure was not as creepy as I made it sound. 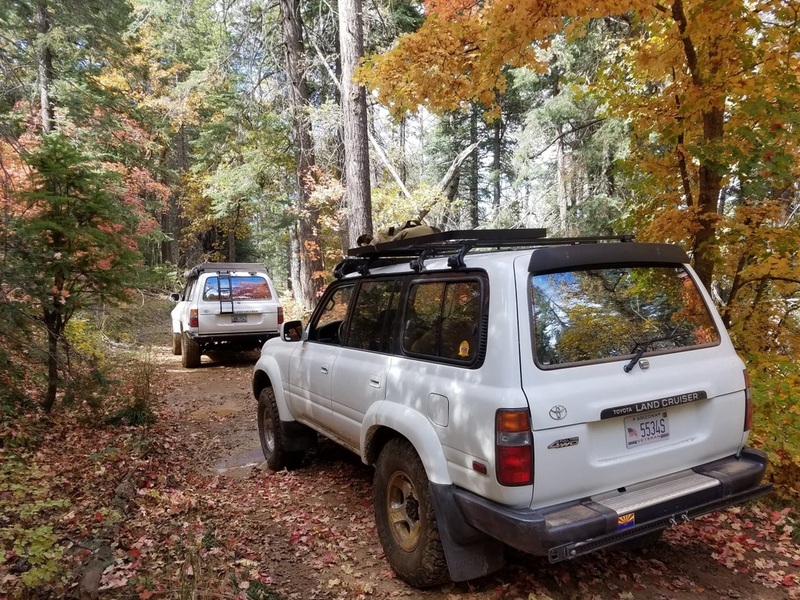 I had a great time, and hope others did as well. 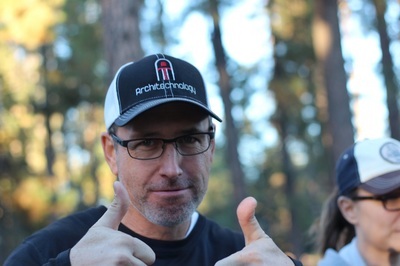 Thank you to everyone who helped me out with this run, especially @Pitch.